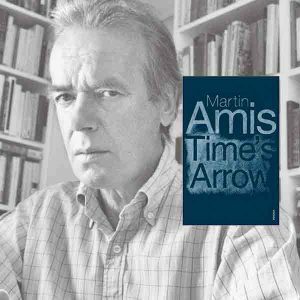 English authors Martin Amis, Ian McEwan, and Julian Barnes, all born in the 1940s, present us with contemporary perspectives of the world through writing styles that originate in the classic literary tradition, only to explode into unsettling resolutions that mirror the contemporary human experience. With elegant prose, they weave history and personal relations into thought-provoking narratives. In Time’s Arrow, Martin Amis does an exercise of history “revision” by playing with the concept of time, and thus forcing the reader to view a historical character from an impossible perspective. In doing so, Amis confronts us with a disconcerting view of evil. Ian McEwan’s Atonement, which has been adapted for the big screen as several of his novels, explores the complications of childhood, love, class and responsibility. It’s a story of coming-of-age and realization in times of war, and the unsurmountable loss that may come with the conflict, due to the characters’ actions. The Sense of an Ending by Julian Barnes is a short and intense psychological novel about aging and remorse, about memory and forgetting; an existential subjective meditation on responsibility and the weight of the past. A novella with a short story quality, where every sentence is essential. Ivonne Saed is a graphic designer, photographer, and writer. She published the novel Triple crónica de un nombre (Triple Chronicle of a Name)—Juan Rulfo National Award for First Novel in Mexico—and the non-fiction book Sobre Paul Auster: Autoría, distopía y textualidad (On Paul Auster: Authorship, Dystopia and Textuality). She has has taught literature at Oregon State University, Marylhurst University and Universidad Iberoamericana. She has been a Delve guide since 2011.